The Spanish Ministry of Economy, Industry and Competitiveness successfully launched the "Bond Spain Cluster" brand to promote innovative clusters on May 22, 2018 in Madrid. The new label of the Agrupaciones Empresariales Innovadoras (innovative clusters) has been created with the clear objective of promoting a national and international recognition of these associations and their excellence. After 10 years of supporting the clusters through the AEI program, the Ministry renewed the image in order to boost their reputation and increase their portfolio of associates. 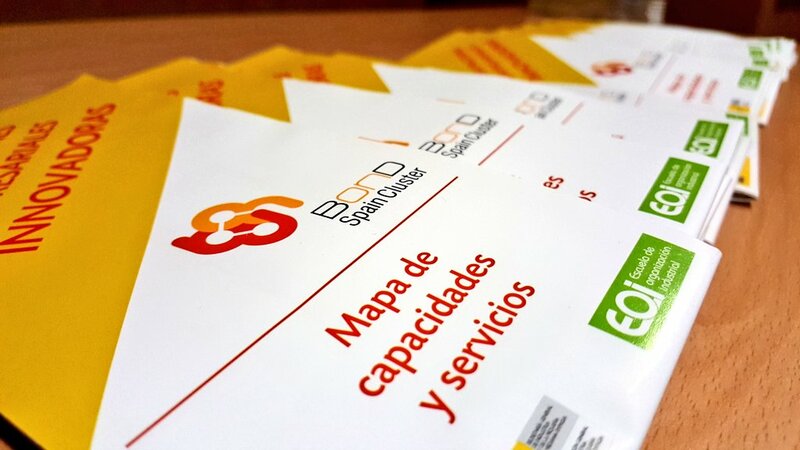 In addition, aiming to facilitate its visibility and promotion, the Secretary General of Industry and SMEs designed an interactive map of competences and services of these clusters: www.spainclusterbond.es . This tool can give detailed information not only on the geographical location of the labelled clusters, but also in terms of services provided, companies associated, technological capabilities. It also presents projects and success stories of these Spanish clusters and therefore shall enable the strengthening of AEIs competitiveness through their recognition of their experience. The tool will be soon available in English, too. The launch of this new label and of the map of services and competences of AEIs gathered a lot of participants and was done in the presence of the Secretary General of Industry and SMEs, Begoña Cristeto (center of the photo), as well as of the Director General of Industry and SMEs, Mario Buisán (left on the photo), and the Deputy General Director of Industry Digitization and Collaborative Platforms, Fernando Valdés (right on the photo). Some of the AEIs presented on this occasion their experiences and achievements.